Shy first-year student Tonya isn&apos;t privy to her family&apos;s darkest secrets, but when her college campus is overrun by a deadly eating epidemic, only she can resist the hidden, mind-controlling entity behind it. Tonya&apos;s new friends, Priya, an installation artist, and Digital Ninjas Drake and Zain, want to create the creepiest art installation Loon Lake Cemetery will ever know. Too bad what&apos;s lurking among the graves is a lot scarier than Priya&apos;s giant animatronic spiders. 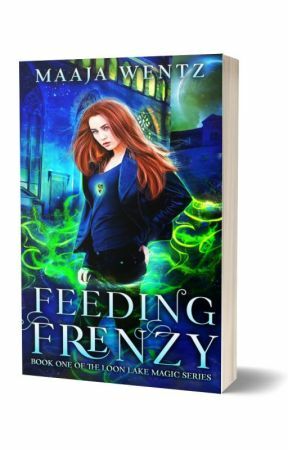 Winner of the coveted Watty Award, supernatural thriller Feeding Frenzy is a witch&apos;s brew of intrigue with a dollop of comedy, a teaspoon of romance, and a pinch of horror. Thank you, readers, for making Feeding Frenzy: # 11 in Mystery / Thriller! The events and characters in this story are fictitious. Any resemblance to real places or persons is coincidental, and wildly improbable. Looking for more free reads? 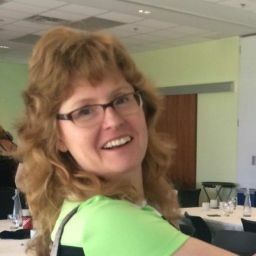 Visit maajawentz.com and join the Loon Lake reading club to get free short stories and be eligible for giveaways and  prelaunch deals. Some special members of the club will be invited to join my street team and receive a free advanced review copy in exchange for an honest Amazon review. Click on the external link below. You will be taken straight to maajawentz.com to get your free stories. For more information, go to Amazon and search for Maaja Wentz where you will find my Author Central page with books, blog posts, photos etc.